Dropbox and Google Drive are Cloud Storage, the former is from the Microsoft Corporation and the latter is the search engine giant, the Google. Cloud Storage has been increasing in popularity as it allows file sharing much easier than ever before. It is not the only use of the Cloud storage and the list goes on. Some of them are the seamless data accesses across the globe by various employees of a multi-national organization, to share audio files or video files between friends or family members living around the world, etc. The basic concept behind this cloud storage is that it synchronizes our data located on different devices and in different networks or computers. The synchronization duration, the support of files formats, allowed free space for each member, etc are some of the characteristics of cloud storage providers and there these cloud storage providers differ among themselves. As with any field, the better player wins the match and here begins the battle between the two. Let us discuss the differences between two of the major cloud storage providers i.e. 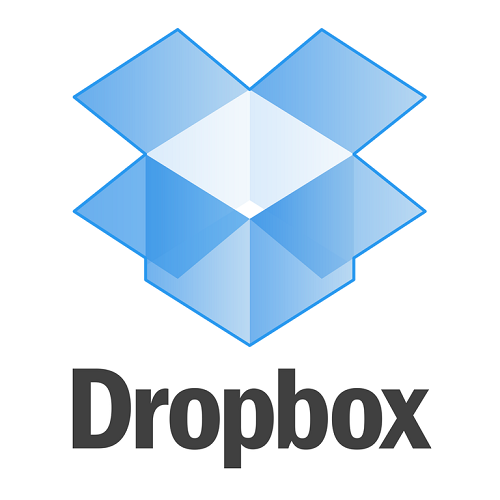 the Dropbox and the Google Drive. Which came first into existence? Dropbox has its own users and the crowd is really huge when compared to the other cloud storage providers. Anyhow, Google Drive is also not the least competitor to the former as it is closer in user count. The Google Drive was launched only after a few years of the launch of the Dropbox, yet it had managed to gain a good marker share. Even though both of the cloud storage providers are doing more or less a similar job, there exist few differences and we are here to capture those. Free Storage Space: Both the Dropbox and the Google Drive are offering free storage space as well as paid storage space that can be purchased additionally to it users. But the actual space that they offer in each category is entirely different from these players. The Google Drive offers 5 GB of free storage whereas the Dropbox offers only 2 GB. The cost of Additional Storage Space: You can always purchase an additional storage space from any of the cloud storage providers and in fact, it is a way of revenue that these providers generate. With Google Drive, you can purchase an additional storage of 25 GB for just $ 2.49 per month and also 100 GB for $ 4.99 per month. It also offers up to 16 TB of storage for $799 per month. The Dropbox charges an amount of $9.99 per month for a 50 GB extra space and $19.99 per month for 100 GB. It looks slightly costlier and with this comparison, we can say that Google Drive offers more space for cheaper prices. File Support: The Google Drive supports 30 different types of files whereas the Dropbox does not support such a large pool of file types. Do you need the File programs to open those at your end? As we all know that we generally need the program of the file in order to open the file at our end. For example, we need PhotoShop Editor being installed on our computer in order to edit photographs. In a similar manner, we require the PDF Reader to read any PDF documents. Google Drive is capable of viewing files without such file installations. Some of the file types that are supported by Google Drive are AutoDesk & Photoshop whereas the Dropbox cannot support such files without the actual program being installed on our system. How are the files viewed at your end? While we open the files on cloud storage, the Google Drive creates an equivalent of its product even if they are from its competitors. For example, it creates Google Doc equivalent files of the Microsoft files such as MS Word, MS Excel or MS Powerpoint. But this is not at all possible with the Dropbox as it simply throws an error message stating that “Unsupported File Type”. Therefore, when it comes to file support Google Drive plays a better role than the Dropbox. How many versions of your files are being maintained? Both the Google Drive and the Dropbox keeps our files for a maximum of 30 days and then they are pushed to the trash folder. Once your trash folder id deleted, then it cannot be retrieved again. There exists a major difference between these cloud storage providers with respect to the version maintenance. The Google Drive can store up to a maximum of 100 versions whereas the Dropbox stores an unlimited number of versions. Therefore, the Dropbox is doing a better job of controlling even the older versions of your files. Where are the versions stored? We have come to know that both of the cloud storage providers offer some free storage space to its users. So, whatever we store would just go to this space. If it is not enough, then we can purchase some additional space depending on our needs. But there is another question that whether the versions details are also put under the allowed free space for each user? It is not always so as the Dropbox never use the allowed free space of its users to store the versions. But Google Drive does just the opposite of this and puts all the versions in that allowed space. File Sharing: With any cloud storage, data sharing is an essential element and let us come to know how it is done with Google Drive and with Dropbox. The Google Drive shares the files through links i.e. you can share those files as links through, e-mail, chat, etc. But the Dropbox shares files through web Apps. Operating System Compatibility: The compatibility here means the usability of these file storage in different operating systems such as Windows, Linux, Mac, Android, iOS, Windows Phone, Kindle Fire, BlackBerry, etc. But the Google Drive is compatible only with Windows and Mac systems. Let us now look at the differences in a tabular form. 1 Which came first into existence? It is one of the earliest cloud storage providers in the market. It was launched a few years later than the Dropbox. 3 Cost of Additional Storage Space It charges an amount of $9.99 per month for a 50 GB extra space and $19.99 per month for 100 GB. You can purchase an additional storage of 25 GB for just $ 2.49 per month and also 100 GB for $ 4.99 per month. It also offers up to 16 TB of storage for $799 per month. 4 File Support It supports a lesser number of files types. It supports 30 different types of file formats. 5 Do you need the File programs to open those at your end? Yes, we need it. Not required. You can even open AutoDesk or PhotoShop with the actual programs being installed on your computer. 6 How are the files viewed at your end? The files are simply opened with the respective program files. The files are opened by creating a Google equivalent file and similarly, they can be edited. 7 Error Messages It displays an error message ‘Unsupported file type’ if file programs are missing. Error messages are quite rare as it handles every file with an equivalent and also supports around 30 files. 8 How many versions of your files are being maintained? Unlimited versions are maintained. Only the last 100 versions are maintained. 9 Where are the versions stored? They are not stored in the allowed free space of the user from the cloud storage provider. Therefore, the user can get the same free space even though more versions are stored. They are stored in the allowed free space of the user from the cloud storage provider. Therefore, the user actually gets little free space in the case more versions of your file exist. 10 File Sharing It shares files through web Apps. It shares the files through links i.e. you can share those files as links through, e-mail, chat, etc. 11 Operating System Compatibility It is compatible with Windows, Mac, Linux, Android, iOS, Windows Phone, Kindle Fire, BlackBerry, etc It is compatible only with Windows and Mac. We are following the trend and the trend in storage follows Cloud Storage. The cloud storage being an important milestone achieved in our data storage & access, it is worth that we have discussed the differences between two of the major cloud storage providers. They are the Google Drive and the Dropbox. One is advantageous over the other with respect to certain features and the reverse holds true for the other features. Overall, both these cloud storage providers excel in offering wonderful data accesses along with worldwide acceptance! Therefore, let us identify which suits the best for our needs before taking up their services. Ramalan Harifa. 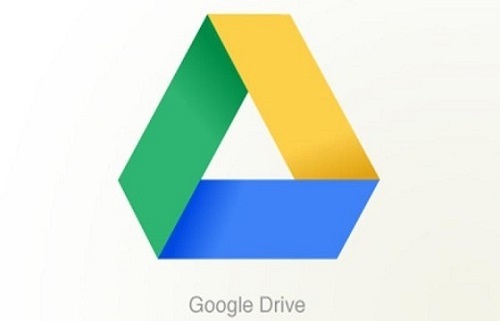 "Difference Between DropBox and Google Drive." DifferenceBetween.net. August 3, 2017 < http://www.differencebetween.net/technology/difference-between-dropbox-and-google-drive/ >.